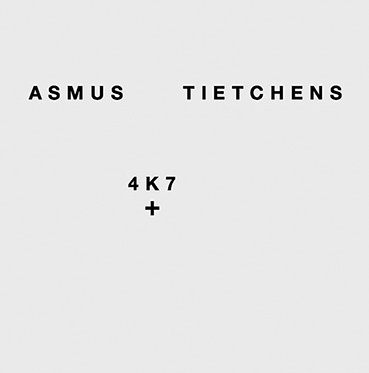 "Asmus Tietchens, a German electronic synthesist and musician whose interest in experimental music and musique concrète already started during his childhood. He began recording sound experiments in 1965 with electronic musical instruments, synthesizers and tape loops. 4 outstanding and very limited tape-Releases called „Musik an der Grenze" „Musik im Schatten" „Musik unter Tage" and „Musik aus der Grauzone", were then released, all of them being high on demand on Tape-collectors radar and to be found on this 5CD-Set. The 5th Bonus-CD in this Set contains additional audio-material recorded during the 70’s called „Musik von der Halde". Besides two tracks being released as a Bonus 7“ to the VOD40-Vinyl-Box-Set and the limited 200 reissue all of these tracks have been unreleased until today. While his earlier recordings until 1983 (including the recordings found on this 5CD-Box) feature accessible synthesized music his focus and way of compositions changed to more abstract sound-collages as to be heard on „Former letzer Hausmusik“, released in 1984 on Stephen Stapleton’s (Nurse With Wound) label United Dairies. Asmus then pursued "absolute music" through an almost mathematical process of rigid formal exercises. With strong ties to Karlheinz Stockhausen's early electronic work, Tietchens started specializing in irregular patterns of sonic abstractions that are suspended in gray drones to create cold textural voids from external Reference"